Construction and demolition debris, also known as C&D or CDL, includes materials that results from construction, remodeling, repair or demolition of buildings, roads, or other structures. C&D includes, but is not limited to, coarse rubble, concrete, masonry, structural metal and bricks. Rubble and those large rock fragments in debris can be reused or recycled greatly which will prolong the natural resources supply and potentially save the cost. Apart from rubbles, metals, bricks and concrete, etc are also commonly recycled. SBM can provide you with professional debris crushing screening system which greatly improves the debris recycling efficiency. Here those large rocks or coarse rubble can be crushed into smaller particles and screened into different sizes. You can find debris crushers, screens, feeders and conveyors here. 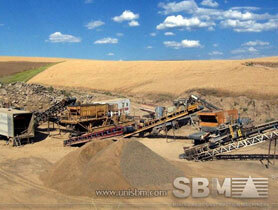 Also, there are both stationary crushing screening plant and mobile plant. If you need a system for debris dealing, you can turn to us. Debris recycling plant is made of stone crushers, screen, grinding mill and belt conveyor. SBM can offer Mobile debris recycling plant and Portable Recycling Plant for sale in Spain, Turkey, India, Malaysia, Greece and Iran. SBM debris recycling plant determine the maximum feed size the crusher will be fed and how much steel/rebar/wood/dirt needs to be removed prior to crushing. This is typically done with hammers, hydraulic crunchers, and pre-screening. Magnets may be used to remove the loose steel. "From SBM we know more about China manufacturing industry. SBM give us enough confidence to cooperate with China enterprises."